One of the most drastic software changes on Apple’s new iPhone X is the location of Control Center, which gives access to various system controls and toggles. 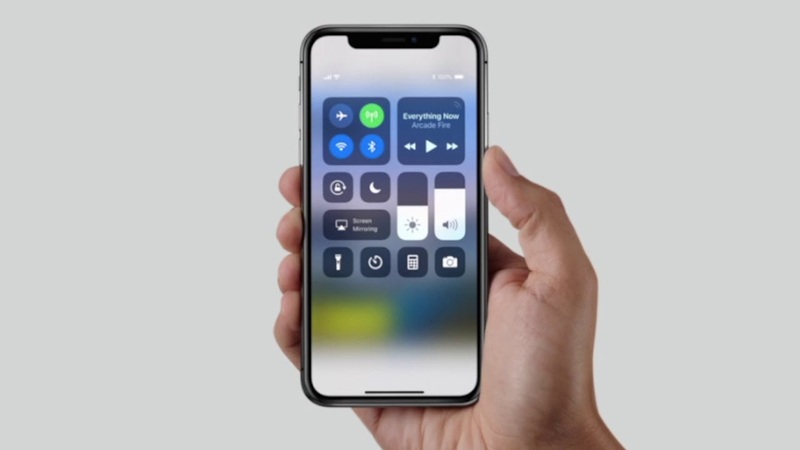 On all devices previous to the iPhone X, Control Center was invoked by swiping up from the bottom edge of the device. Due to the removal of the home button, this action on the iPhone X is now the “go home” gesture. In order to access Control Center on the iPhone X, users must swipe down from the top right corner of the display. Moving the location of this quick access panel has removed the ease-of-access to Control Center for many iPhone X users, particularly those with smaller hands and those who are left-handed. Various Apple users have been suggesting alternate locations of Control Center, which would allow a simpler experience when invoking the feature. Please do note that these are simply community ideas and do not indicate any possibility that they show up in the iPhone X in the future. Designer Jamie Brightmore envisions an option setting that would allow a 4D Touch press on the bottom edge “Home” bar to invoke Control Center. Alternatively, this 3D Touch gesture could work from any edge of the device. A Reddit user envisions that the iPhone X’s new Reachability gesture (swiping down on the Home indicator) could be reconfigurable to invoking Control Center.